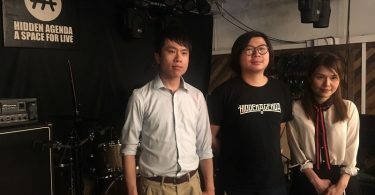 At least five defendants facing prosecution in relation to last February’s Mong Kok clashes have said they were assaulted or threatened by police during interrogation. Ten defendants appeared before District Court Judge Kwok Wai-kin on Thursday. They were charged with rioting, criminal damage or assault in relation to the disorder in the early hours of February 9 last year. At least five of them told the court that they intended to reject statements they gave during police questioning, on the basis that they were threatened or forced to say they took part in the protest. Defendant Yep Chi-fung, 18, claimed that four police officers took him to a room in a police station and stripped him naked. 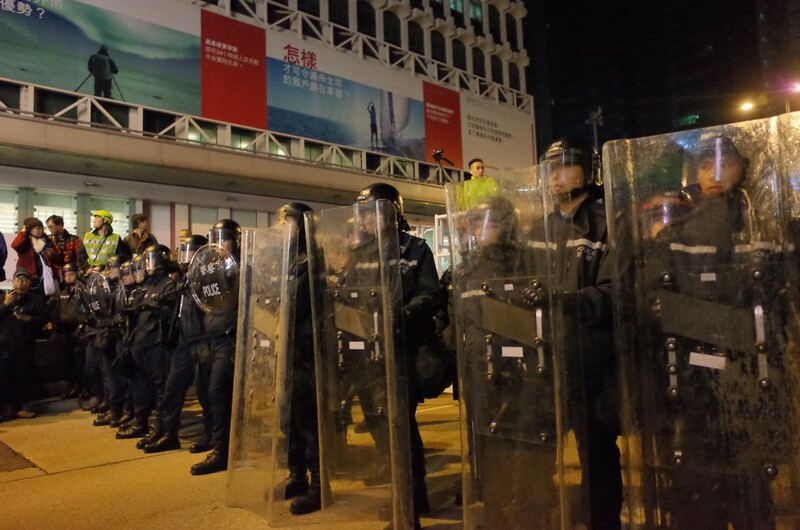 He said he was told by the officers “you have the guts to take action but no guts to admit it,” as they punched him in his stomach and kicked his thighs when he denied being involved in the clashes, Apple Daily reported. He said he was eventually allowed to put on his clothes after he agreed to cooperate. An officer allegedly wrote in the statement that Tang took part in the protest, even though Tang insisted that he had not. 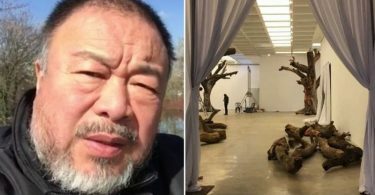 When Tang protested, he said an officer told him: “Do you want to stay here and not be released on bail?” Tang said he felt compelled to stay silent. Mong Kok protest. 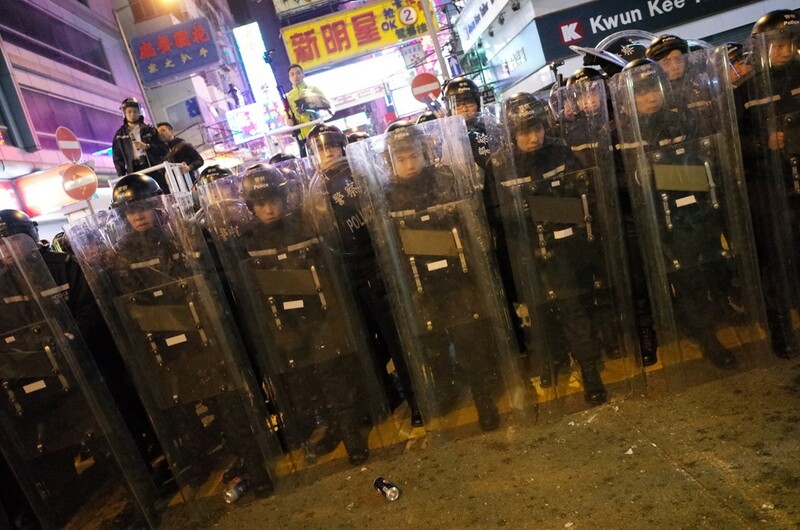 Photo: Kris Cheng, HKFP. The trial, beginning Thursday, is expected to last 30 days. On Thursday morning, defendant Mo Jia-tao, 18, pleaded guilty to assaulting a police officer. He denied three other charges of rioting and a charge of criminal damage. 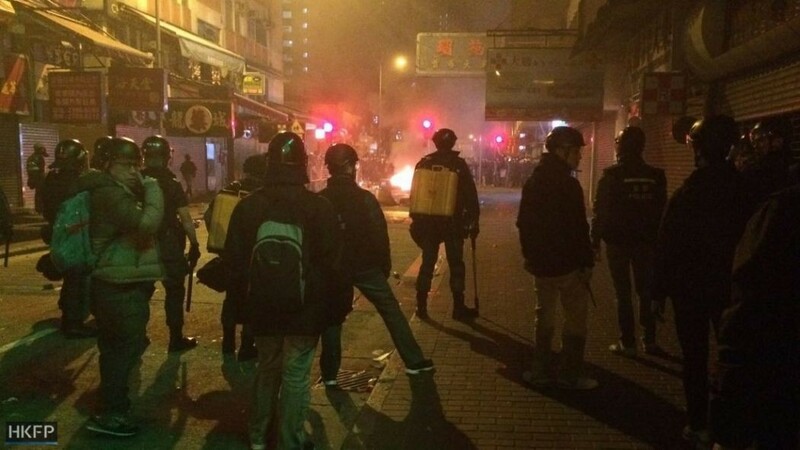 Another defendant Ng Ting-kai, 25, pleaded guilty on Friday to one count of rioting. He denied an assault charge. The remaining eight defendants denied their charges. The ten defendants are: Mo Jia-tao, 18; Chung Chi-wah, 30; Anthony Ho Kam-sum, 37; Fok Ting-ho, 24; Chan Wo-cheung, 71; Tang King-chung, 29; Li Cheuk-hin, 20; Lam Wing-wong, 22; Yep Chi-fung, 18; and Ng Ting-kai, 25. An eleventh defendant, Lee Sin-yi, 18, is being sought by the authorities after failing to appear in court.